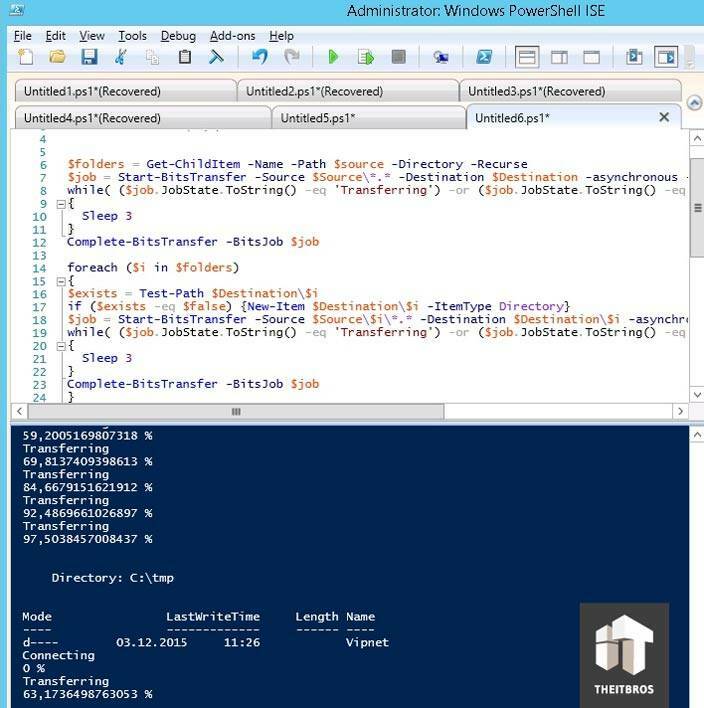 Home » Miscellaneous » Windows » Windows 10 » How to copy files with BITS using PowerShell? 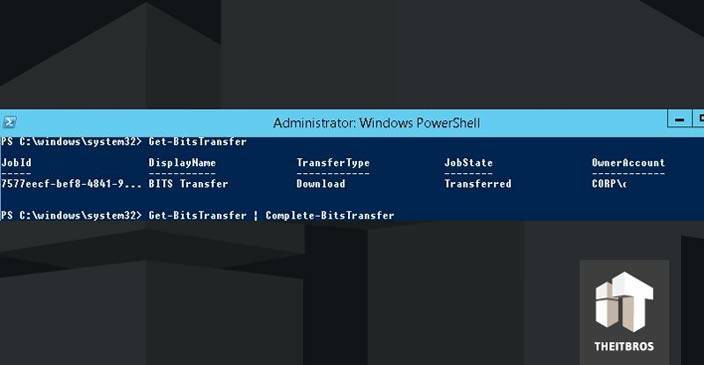 How to copy files with BITS using PowerShell? If you use local (and global) networks, you might know that files between systems are transferring by using SMB, FTP or HTTP protocols. The problem with all of these protocols is difficulties with the large files downloading. Also, this sort of problem is a common issue due to slow or unstable connection. 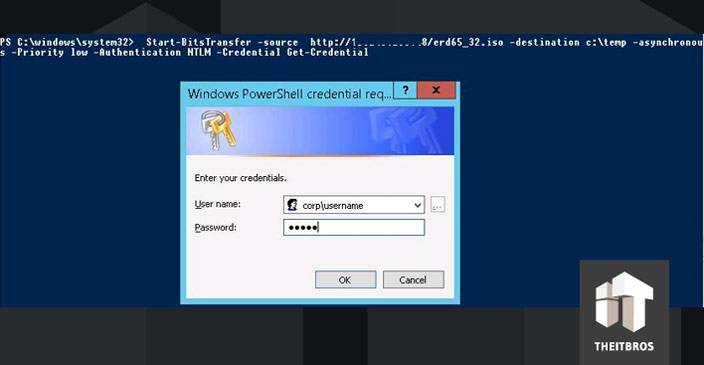 When you copy files through these protocols, usually it takes all available bandwidth between the server and users. It may cause a poor network or applications performance (sometimes we cannot set up the proper QoS policies). 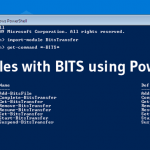 In this article, we will show you an alternative way to copy the large files with the BITS protocol using PowerShell. 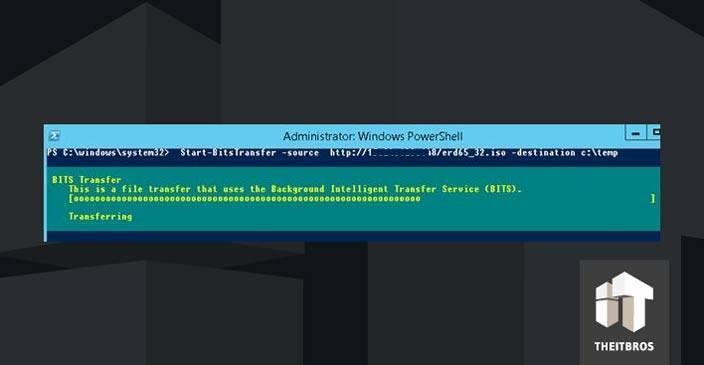 BITS or Background Intelligent Transfer Service is a Windows service for transferring files between the systems. 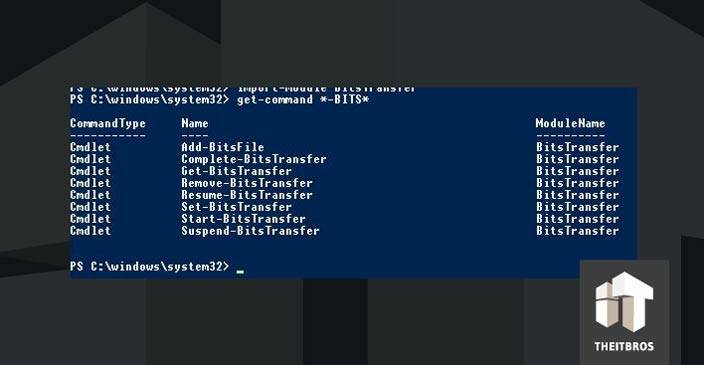 With the BITS protocol, you can transfer files between computers (download and upload files). So, BITS is the best protocol for transferring large files over slow networks. Let’s suppose that we need to download the file, which is stored on the HTTP server (http://10.2.2.148/erd65_32.iso). As we can see, there are eight scripts are available. Message This is a file transfer that uses the Background Intelligent Transfer service (BITS) says that the file is downloading right now with BITS protocol. In this case, the script is begun downloading in synchronous mode. You can see the progress bar, which will show you a transferring status. Note. If you want to restart your computer, you have to know, that the downloading process will not be renewed. You can run the process in the asynchronous mode. To do this you need to add the –asynchronous parameter in the command below. In this mode, if something happens (reboot the server, the client) the downloading process will automatically continue afterwards. 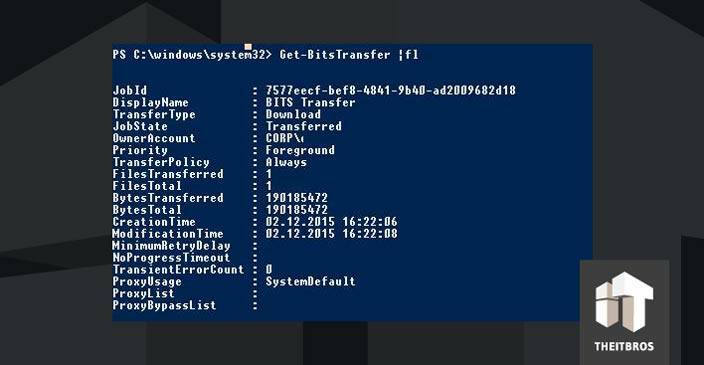 But in this mode we cannot see the transferring status, so we should use the Get-BitsTransfer command to check the status. After that, the downloading process will be done, and you will see it in the list. To make the process of result tracking easier, you can use a simple script that monitors the status and displays the transferring percentage on the screen. That is all, guys. BITS is an excellent alternative to traditional transferring through well-known protocols. BITS is the optimal solution for transferring the large files (like ISO files), so try it out. BITS was so close to being useful but we never implemented it because of the “must be logged on” requirement. 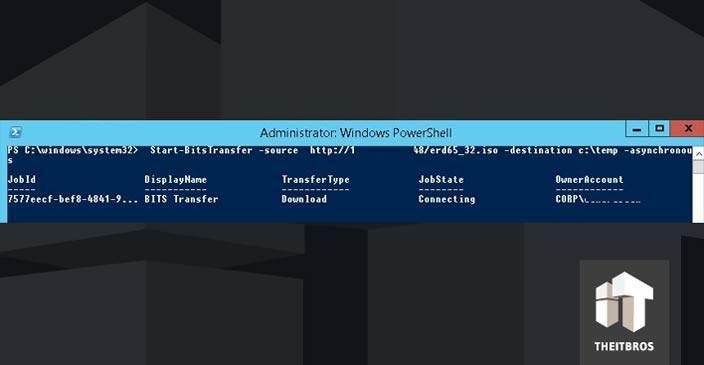 Specifically if you want to automate some file transfers between servers in PowerShell using this it won’t work; it was baked in so that it would only run if you’re physically logged in. Wasted weeks of my life trying to work around it, as have others, to no avail. The internet is a cemetery of people having failed. In the end BITS is a dead end and it’s better investing in WinSCP or similar. Do we have any ideas how to download from http://mysite/distribfolder whole content of it? The script provided above will only copy folders at depth 1 (ie. direct subfolders of the source folder). It will not recurse any deeper, so it is only useful for copying the direct subfolders and their files.